Look Good & Feel Great At Any Age! 1) Peel half of a small sugar pumpkin and cut into 1-inch chunks. (about 4 cups) Toss with 2 Tbsp olive oil, salt & honey. Roast on a baking sheet at 425 degrees until tender, about 45 minutes. 2) Meanwhile, bring a pot of salted water to a boil and cook the pasta according to the package directions. When done cooking, drain but reserve 1/2 cup of cooking water. 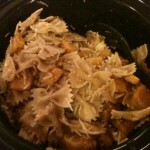 3) When pumpkin is done is cooking, heat 2 Tbsp. olive oil in a skillet over medium heat and add minced garlic, cook about 1 minutes (until garlic is softening) then add walnuts and pumpkin. Stir to combine without smashing pumpkin chunks. 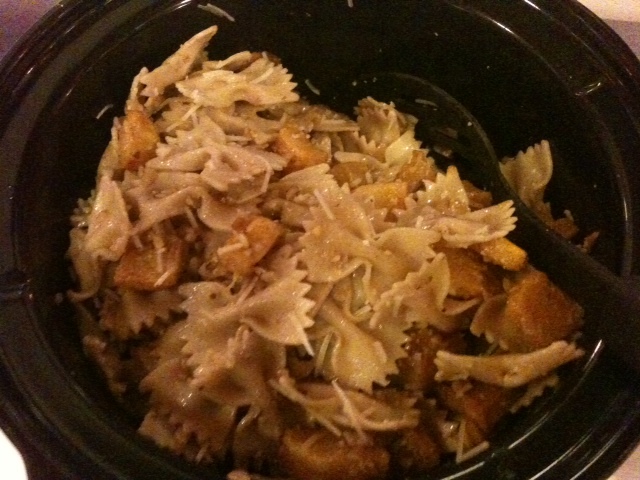 4) Combine pasta with 1/2 cup pasta cooking water and Parmesan cheese. Drizzle with more olive oil. 5) Transfer to bowl and toss with pumpkin mixture. Serve! The Pumpkin Workout is designed to help you burn off any extra calories you happen to eat on Halloween. Grab a pumpkin and let’s get going! Every time your eat a piece of candy do this workout & have fun! P.S. The pumpkin I used for this video weighed 7 1/2 pounds and it was plenty heavy. If you can’t find a pumpkin that’s the right weight for you it’s OK to use a med ball or a hand weight instead. In a small frying pan over medium heat, warm the oil. Add garlic and saute for about 30 seconds. Add curry and saute for 1 additional minute. Stir in honey and remove from heat. In a food processor, chop garbanzos until they are finely mashed. Add pumpkin, ginger, salt and garlic mixture. Process until hummus is smooth. Taste and adjust seasoning to taste. Set aside for a least 1 hour. Garnish with toasted pumpkin seeds if desired. Sorry, no pictures…we ate it all up before I thought of that!! Halloween wouldn’t be complete without this traditional favorite. The hard part is retrieving the seeds from the pumpkin!! 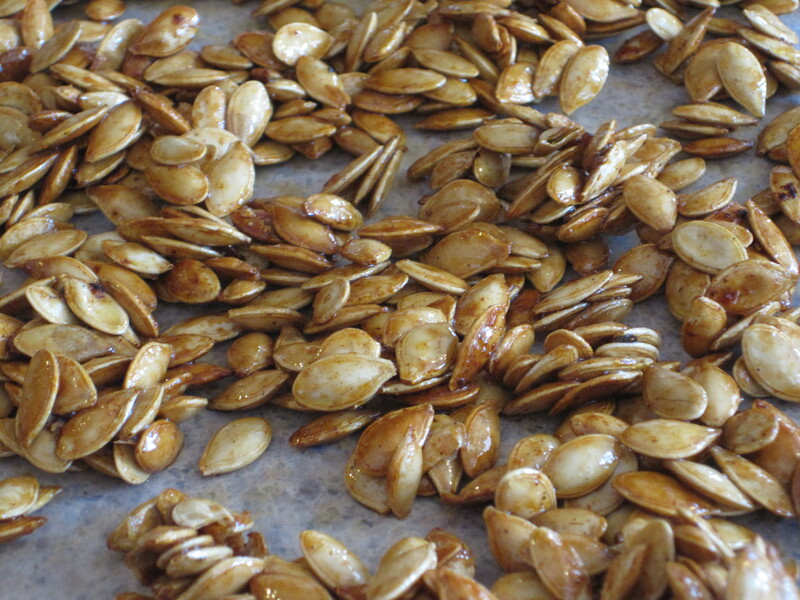 Spread pumpkin seeds on baking sheet and bake 10 minutes…flip seeds after 5 minutes. 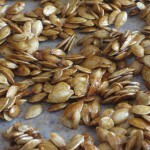 Remove seeds from oven and toss seeds with olive oil, honey, and spices listed above. Return to oven and roast until golden brown. 5-10 minutes….keep an eye on them…they burn easily!! XO Fitness ©2012 All Rights Reserved.